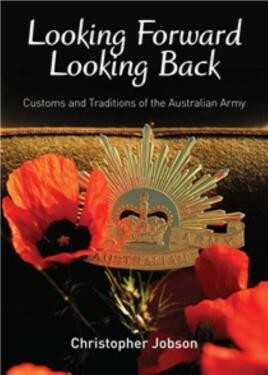 "Looking Forward, Looking Back” explores the Australian Army's rich and proud history. The Australian Army boasts a broad variety of traditions, some of which belong the the Service as a whole, others to a particular corps, regiment or rank. Some are solemn, some are humorous, and others incorporate the rules of social etiquette, manners and style. Unfortunately, due to sales rights restrictions, we cannot offer Looking Forward Looking Back for sale in your country. "Looking Forward, Looking Back” explores the Australian Army's rich and proud history. The Australian Army boasts a broad variety of traditions, some of which belong the the Service as a whole, others to a particular corps, regiment or rank. Some are solemn, some are humorous, and others incorporate the rules of social etiquette, manners and style. Many of the Army's customs and traditions are derived from the battle tactics and fighting attire of old. Some of the drill movements seen on today's parade grounds were originally practised by soldiers in battle.